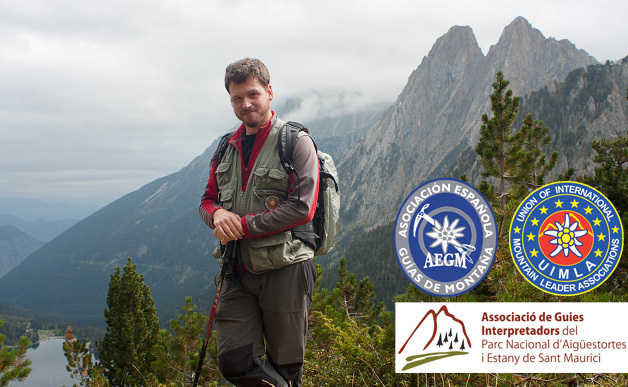 I am a qualified mountain leader and authorised guide in Aigüestortes i Estany de Sant Maurici National Park. I have been leading groups around the Central Pyrenees since 2006, carrying out my main activity in Vall de Boí and the region of Alta Ribagorça. Discover what the guide profession means to me, the objectives of my guidance and what it is said about me. My father transmitted me the love for mountains and the Pyrenean heritage. He taught me to look at the landscape in detail and sensitivity and my first steps as a photographer was in this wonderful place. Here you will find pictures of Pyrenean landscapes, nature, hiking and more personal works.